the people of Israel live! Throughout the ages there has always been someone trying to oppress and eradicate the Jews, but to no avail as we are still here! together, with our great tenacity and the help God, we will overcome any challenge and oppressor! 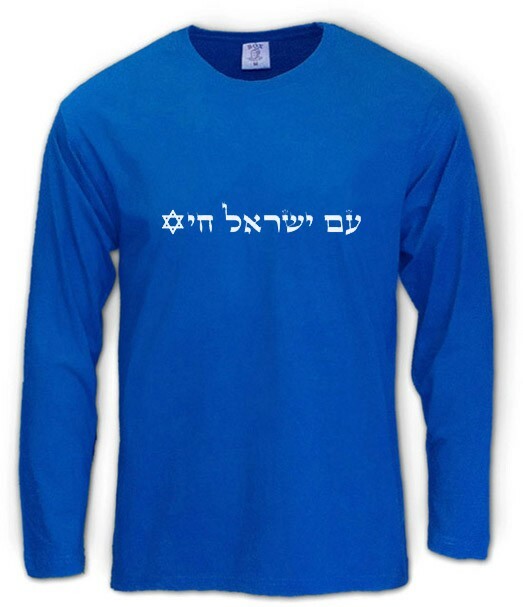 Wear this vintage Israel T-shirt sporting the Hebrew caption "Am Israel Chai" (the people of Israel live) with the Star of David to show that the people of Israel are here for good! Our t-shirts are made of 100% cotton and are long lasting with bright colors. Our products are all designed and printed in Israel.